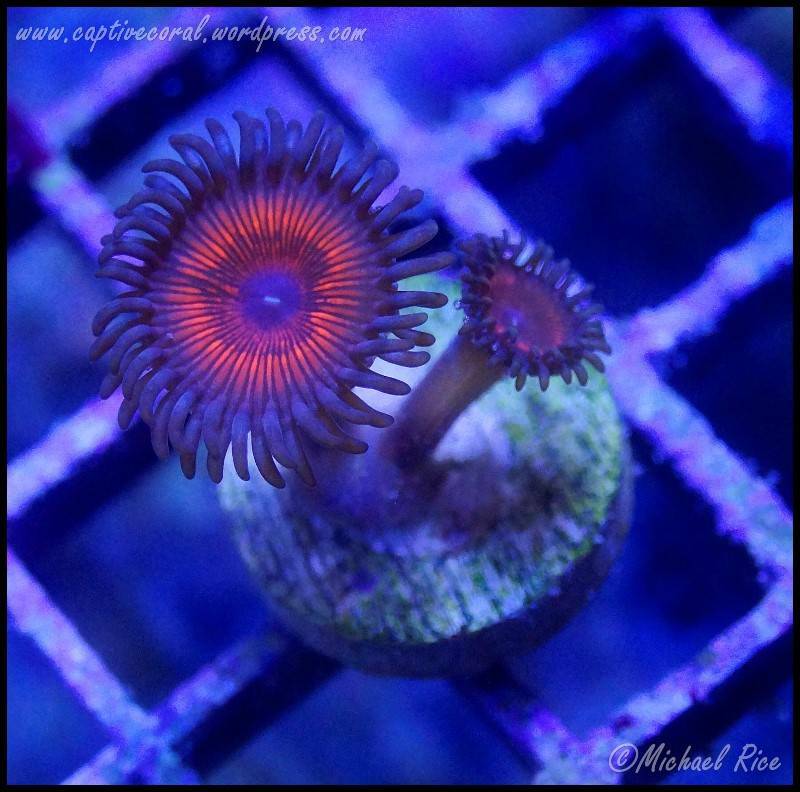 Discussion in 'Aquarium Corals' started by mikejrice, Dec 20, 2018. 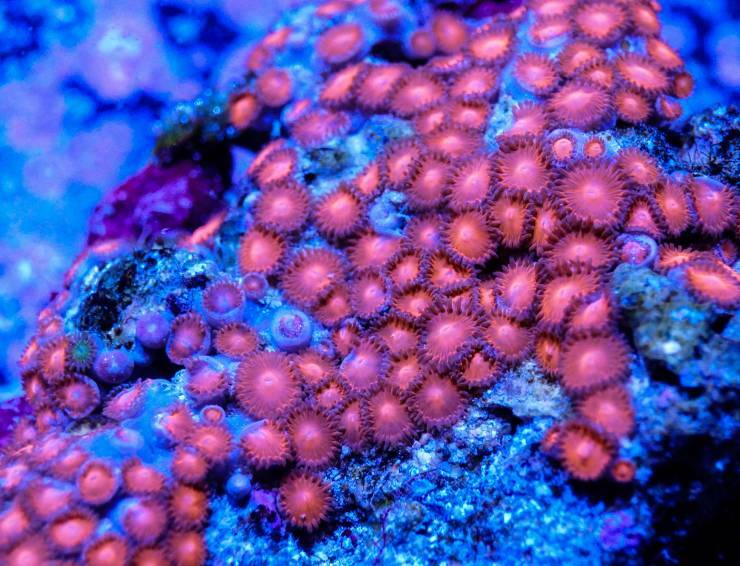 Difficulty Level:Zoanthids are extremely tolerant and a great choice for beginners due to their fast growth speed and broad range of colors. 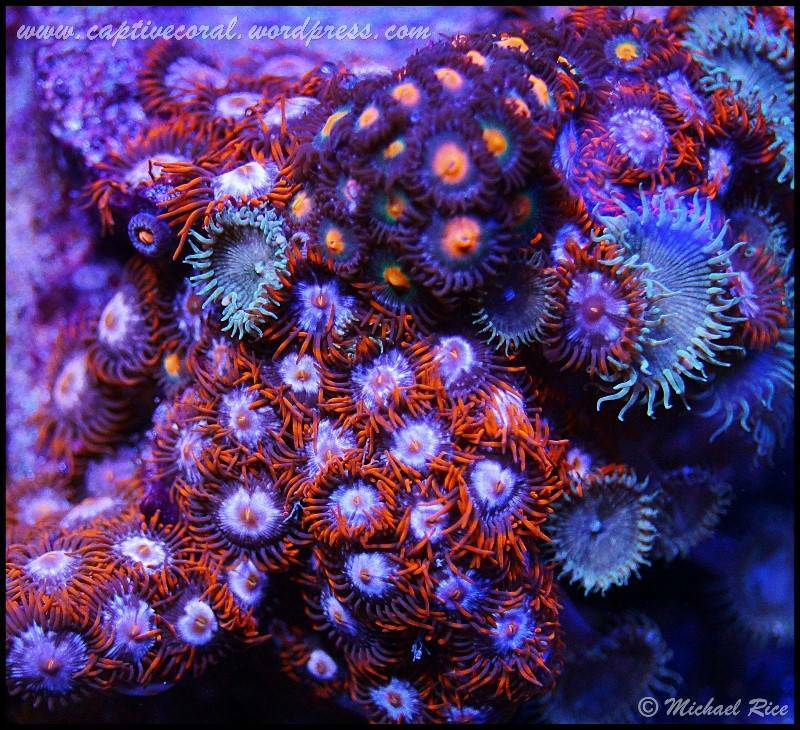 Feeding: These corals prefer phytoplankton though their primary source of nutrition is photosynthesis. 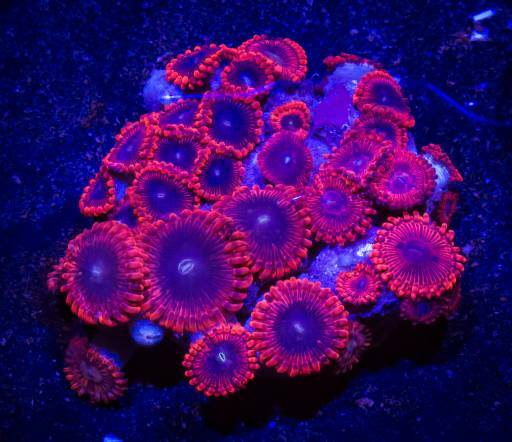 Lighting (Level 4 to 10):Zoas will adapt to almost any type of lighting although care should be taken when moving them into higher lighting areas. 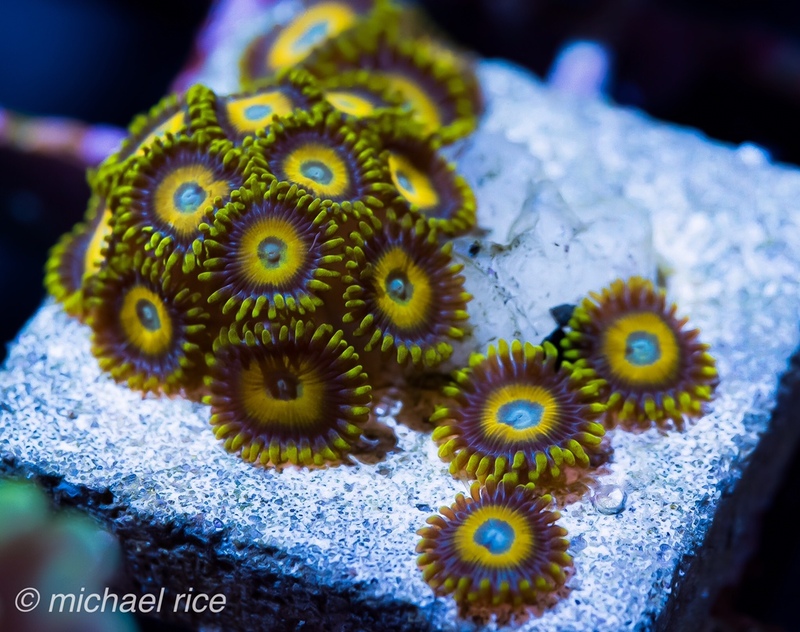 Placement: Zoas are fast growers which have the ability to encroach upon most hard corals and shade them out over time. 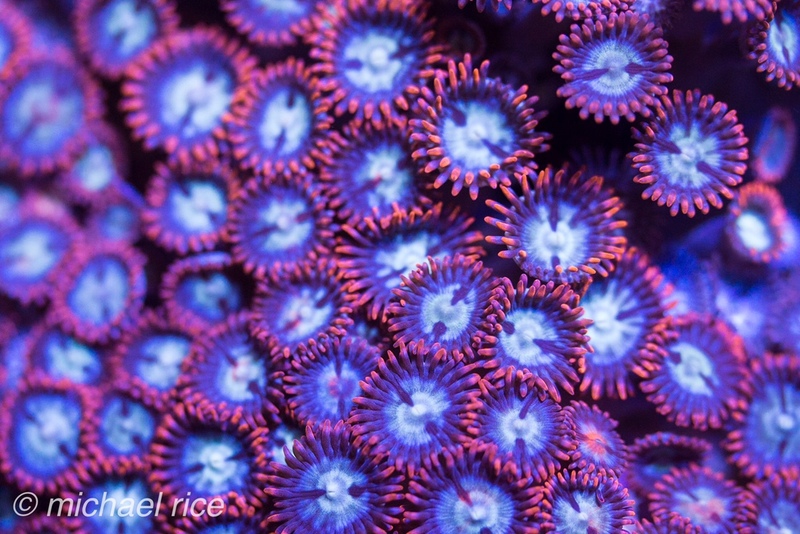 They grow toward their light source, so try to keep susceptible corals out of their path. 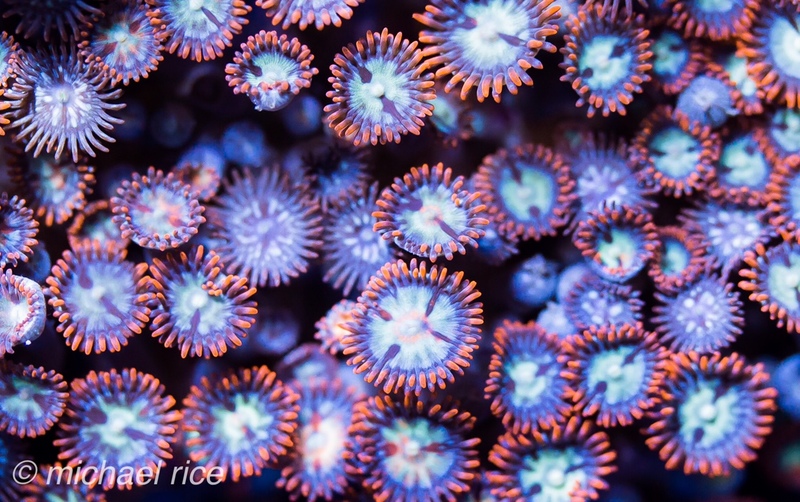 There’s no better pattern to fill a frame with than a field of colorful zoanthids! Who’s growing a nice colony of these ones?